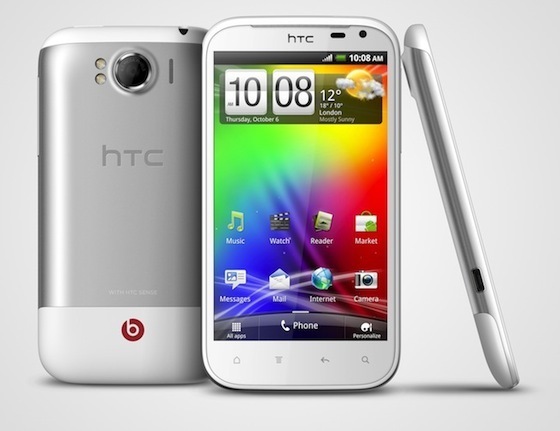 HTC unveiled their second Beats Audio smartphone HTC Sensation XL featuring 4.7-inch 800 x 480 resolution display. The 9.9mm (0.38-inch) thin phone comes with 1.5GHz Qualcomm processor, 16GB onboard memory, 8-megapixel camera with f/2.2 lens, WiFi, Bluetooth and MicroSD card slot. Samsung has posted a video titled “Something BIG is coming” on YouTube. The video is for the UNPAKCED Samsung mobile event on October 11th in San Diego and Samsung claims “another perfect combination is just around the corner”. It is rumored that Google will be joining Samsung to officially launch next version of Android codenamed Ice Cream Sandwich at this event. 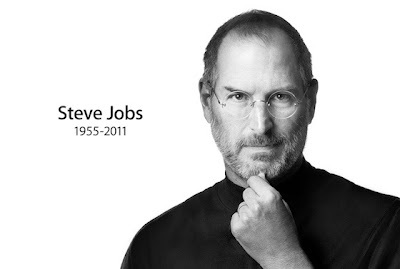 Apple has just issued a press release informing that the company co-founder and chairman Steve Jobs has passed away. Apple’s main page has Steve’s photo and links to a memorial page. 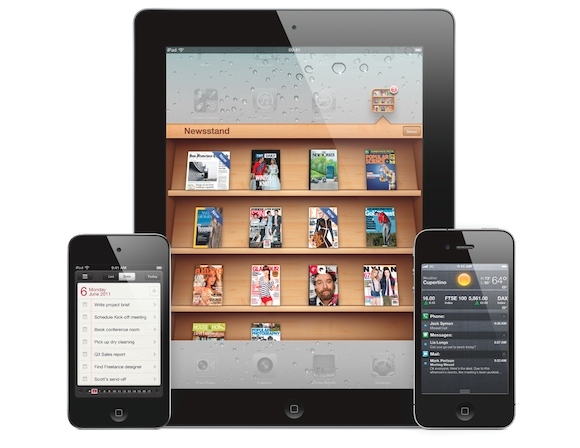 Apple today announced October 12th launch date for iOS 5 and iCloud. The new iOS 5 includes over 200 new features including Notification Center, an innovative way to easily view and manage notifications in one place without interruption and iMessage, a new messaging service that lets you easily send text messages, photos and videos between all iOS 5 users. iOS 5 will also be available as a free software update for iPhone 4 and iPhone 3GS customers allowing them to experience these amazing new features. 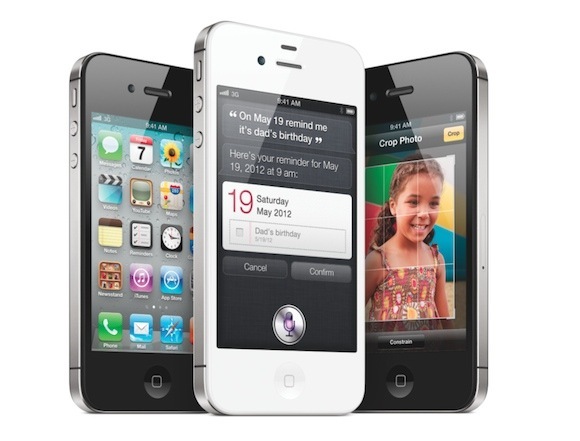 Apple today announced iPhone 4S featuring dual-core A5 processor, 8-megapixel camera, Siri and 1080p video recording. As it was rumored the iPhone didn’t see any major redesign externally, but a complete system overhaul internally. 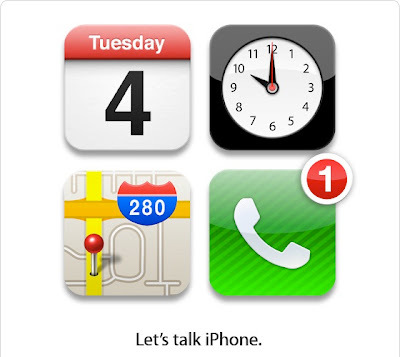 That's it from the Apple event, We will posted complete details about iPhone 4S and new iOS features on TechzTalk. Check them out later. I seriously don't understand why Apple has to call a press conference for announcing such a minor iPhone update. They had already announced most of the iOS 5 and iCloud features at WWDC and Siri, even though it was impressive wasn't something extraordinary. Tim says "Now, when you look at each of these, they're great and fantastic and industry leading in and of themselves. But what sets them apart, and what puts Apple way out front, is how they're engineered to work so well together. Only Apple could bring these together in such a powerful and integrated way. I am so proud of this team. I want to thank you for joining us." Tim is back on stage and says "Pretty incredible isn't it". he is reviewing today's announcements, which were nothing more than a minor update. iPhone 4S pre-orders start on October 7th with launch date of October 14th. It will be available on AT&T, Verizon and Sprint in US. iPhone 4 will be available in 8GB model priced $99 with two year contract. iPhone 4S will be available in Black and White priced $199 for 16GB, $299 for 32GB and $399 for 64GB. He is again talking about specs of the iPhone 4S. He says we are very excited about the iPhone 4S and is showing a video created for iPhone 4S. Siri will be a beta to start and will work with English, French and German. Phil is back on the stage and he is also talking about Siri. He says it works out of the box and get better over time. Siri searches all possible option to give you best possible answer. Scott says "Siri not only remembers, Siri knows." Siri automatically creates text messages, searches web, calendar event and always remembers those events. He is demoing many other ways Siri works like "What time is it in Paris" or "Find a great Greek restaurant in Palo Alto" and Siri give answers to all the questions. He says to the iPhone "What is the weather like today?" Siri responds: "Here is the forecast for today." Apple calls this new feature Siri and Scott Forstall is going to do a live demo of the new feature. He says "Will it rain in Cupertino" or "Do I need an umbrella today?" Both the same question, but different ways of asking. Phil says it the most amazing iPhone yet. He is now talking about voice feature. He wishes that devices could really understand you, that you didn't have to use a restricted lingo when asking for music or searching for directions. Phil says the iPhone 4S is entirely new on the inside and he again recaps the specs. The camera can take 1080p HD video and it offer video image stabilization, Temporal noise reduction. He shows a video taken with the new camera. He is now showing pictures taken with the new camera. Phil says the new camera is really faster, Droid Bionic takes 3.7 sec for first pic, Galaxy S II take 2.0 sec and iPhone 4S takes just 1.1 sec. The camera also has Hybrid IR filter for better color, five element f/2.4 lens for 30% sharpness increase, auto white balance and Face detection. The camera on iPhone 4S is 8-megpaixel 3264 x 2448 resolution. It has 60% more pixels than iPhone 4 camera and can gather 73% more light with Backside illumonation. iPhone 4S is a world phone is has support for both GSM and CDMA. iPhone 4S support HSPA+ for 14.4Mbps downlink and 5.8Mbps uplink. Phil talking about antenna design. He says " We've done something technically amazing. It can now intelligently switch between the antennas for even better call quality." Phil says "Now you would think if you put a processor that fast in a phone this thin you're going to get worse battery life. But we've worked hard. We now have 8 hours of talk time, 14 hours of 2g talk time, 6 hours of 3g browsing, 9 hours of Wi-Fi browsing"
Phil is back, talking about the A5 processor Dual core, 2x faster CPU, Dual core graphics, 7x faster graphics. Infinity Blade 2 looks very good, in fact one of the best graphics we have seen on a mobile device. Epic's Mike Capps is giving a gaming demo. Next is iPhone. The new iPhone 4S. 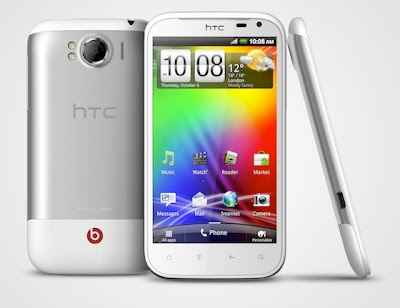 Design is the same, but inside it's all new with A5 processor and 7x faster graphics. As was rumored iPod touch doesn't get any major new feature and it will be available on October 12th priced $199 for 8GB model, $299 for 32GB Model and $399 for 64GB. Next up iPod touch, it's the most popular iPod and #1 selling portable gaming device. It has 16 new clock faces including a Mickey Mouse one. 8GB iPod nano will now cost $129 and 16GB $149. they are available today. The new nano is easier to navigate has improved fitness features and doesn't need Nike+ adapter. Phil says "we introduced a fun version last year. It's compact... and we've added some updates this year." Phil Schiller is on stage. It's iPod time. First up iPod nano. iCloud is coming on 12 October and iTunes Match is coming by end of October. Now playing a demo video of iCloud. 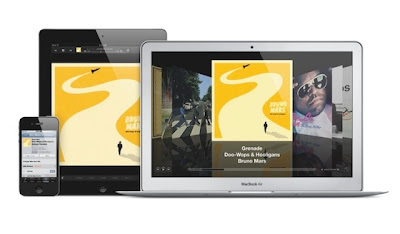 Finally iTunes Match, it scans and matches your library, uploads unmatched songs, streams and upgrades all songs to 256kbps. iCloud will offer 5GB of free storage and for more storage you will pay $20/year for 10GB, $40/year for 20GB and $100/year for 50GB. Something new, iCloud will get a new app called 'Find my Friends'. He is demoing how the app works. The app easily locates friends and family, offers temporary sharing option and has simple privacy controls. He says with iCloud you can download and re-download your music or media anytime on any of your devices. Now Eddy Cue is on the stage to talk about iCloud. He says its free and it just works. It will work on iPhone 4, 3GS, iPad 2, iPad, iPod touch 3rd and 4th gen. Finally the good news, iOS 5 will be released on October 12th. This is WWDC flashback. Scott is now showing the PC free setup and Sync. Next feature is tabbed browsing on the new Safari browser. The camera app now allows you to edit photos and is accessible directly from lock screen. This is repeat of WWDC keynote. Now he is talking about Reminders, then Twitter integration and now Newsstand. Next is iMessage, he says you can send text, photos and video over WiFi or 3G without paying anything to the carrier. Scott is talking about top ten features of iOS 5, starting with Notifications Center. Scott tells that over 61% of mobile browser usage is done on iOS and the App Store now has over 500,000 apps. Apple has paid over $3 billion to developers for those apps. And over 1 billion apps are being downloaded every month. He invites Scott Forstall on stage to talk about iOS. He says that we have passed quarter billion sales mark of iOS devices. 92% of Fortune 500 companies are deploying iPads. And iPad is the top selling tablet in the world. Now iPads, people are thrilled with this product and it has 95% satisfaction rating. And iPad deployment in education and corporate sectors is growing fast. He says despite all this momentum we have just 5% of overall handset market. This is an enormous opportunity. Customers love their iPhone and it is the highest rated in customer satisfaction. Next up iPhone. The iPhone 4 has sold over half of all iPhones. Smartphone market is growing at 74% while iPhone grew at 125%. We have 20 million songs in iTunes and over 16 billion songs have been downloaded. iPod is the #1 music player in the world with 70% market share and we have sold over 45 million iPods since last June. Overall we have sold more than 300 million iPods. Now iPod and iTunes... He says iPod was launched 10 years ago and it revolutionized the whole music industry. He adds we still have lot to do as 70% are buying other computers. And Mac now has a install base of 58 million users. And Mac has 23% market share in US. But its still the only one on the market. Mac is the #1 best selling desktop and laptop in US. Now the new MacBook Air, he says "Our competitors are trying to copy it." He says that Apple products are core of everything and he is giving an update about Apple products starting with Mac OS X Lion that has been downloaded 6 Million times. Now Tim is playing a video of the new Chinese Apple store. He is giving details about various new stores in China and other places. New CEO Tim Cook is on the stage and he welcomes everyone and says this room has quite a history at Apple. Apple logo is on the big screen and we are wondering who will start the presentation. We are in the hall and the event is about to start. Live coverage of Apple’s upcoming “Let’s talk iPhone” event starts at 10AM PST / 1PM EST today. Rumors are Apple will announce next generation iPhone 4S/5 along with new features in iOS 5. Join us at 10AM PST on live.TechzTalk.com to find out more. Over the weekend there have been many leaks about the upcoming iPhone, from carrier inventory list showing both iPhone 5 and iPhone 4S to iTunes beta code showing only iPhone 4S. However, these leaks have only added to the iPhone 4S or iPhone 5 confusion rather than provide any concrete information about tomorrow’s iPhone event.